The disciplines of History and Anthropology focus on the study of the human experience, past and present. 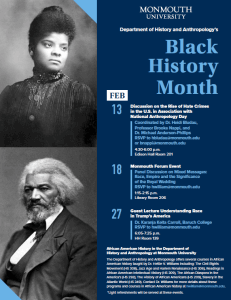 The Department of History and Anthropology at Monmouth University is built on the characteristics that the disciplines share and is supported by those that make each unique. 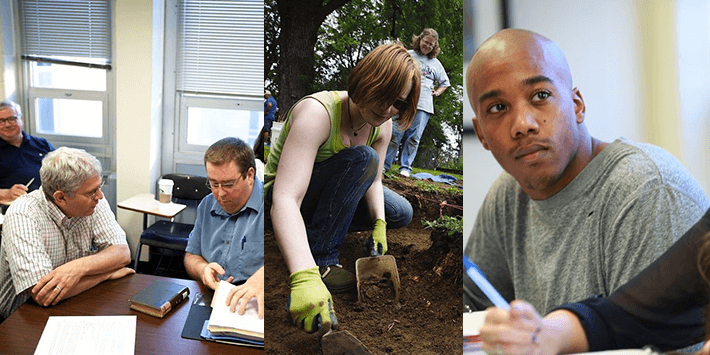 We offer undergraduate and graduate degrees in History and Anthropology, as well as joint degrees in History and Education and Anthropology and Education. The department is also home to minors in History, Anthropology, Archaeology, Geography, Geographic Information Systems, Public History, Race and Ethnic Studies, and Religious Studies. We are committed to providing our students with an engaging, rigorous educational experience that prepares them for diverse careers and for life after college. So, what can the Department of History and Anthropology do for you? Our studies use the stories of people past and present to gain a deeper sense of the world in which we live. Our students learn to look outside of themselves to appreciate different viewpoints and learn about themselves along the way. History and Anthropology courses are not just narratives but discussions that help raise your consciousness about important global, historical, and even personal issues related to your place in the world and human history. You will learn to recognize the forces at work by seeing patterns and themes develop in the larger orders of time and geography. You will engage in relative thinking and a global perspective. History and Anthropology provide valuable insights and lessons related to human behavior that can help you not only to understand why people – past and present – think and act the way they do but also to define your own values more clearly. articulate your findings and analysis in both written and oral forms. When you ask, what can I do with a degree in History or Anthropology? We answer: Anything you want! 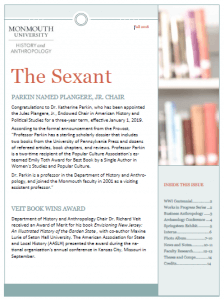 Read the latest issue of the Sextant!